After much debate, my husband and I decided to raise a flock of chickens and our own eggs. Neither one of us wanted chickens hanging out super close to the house so we chicken wired all the way around the yard. I need a small space where only dogs and cats are allowed and maybe Clover, my pet sheep, when I am not worried about her eating something I am trying to grow. At the moment I am testing out a Garden Tower system and I can’t allow her to get those bottom tiers of plants! Matt and I were working in the vineyard and discussing chickens and how they would keep the bugs and spiders eaten down. We had been noticing an abundance of Black Widow spiders since we had no chickens around for years. Not good. I said “why don’t I call the feed store? It’s that time of year.” Well, sure enough, Riverview Farm and Garden had just received 100 chicks of assorted varieties. Matt and I decided to get a mix of different heritage breeds. In the past, we had always just bought a single breed of chicken but we wanted this to be a more colorful flock of birds. We came home with a pet carrier that contained Jersey Giants, Welsummer, Buff Orpington, Hampshire Reds, and Barred Rocks. They have grown into some wonderful chickens. They spend a lot of time in the woods. We actually throw grain out so they scratch up the understory. This is part of the plan to restore the woods and make it better for grazing. We got our hens a little late in the season. The timing meant that January 2019 at the earliest was when we could expect eggs. Establishing a flock from chicks takes time, and we were not in a huge rush. We have realized how egg intensive gluten-free cooking can be though so having some eggs off the farm is going to be nice. Part of our flock. Our rooster is in the back with the huge comb. He is a Barred Rock and I have to say he is one of the nicest and most well-behaved roosters I have ever had! He gets called “Big Boy” most of the time. We have largely been allowing our chickens to free range but have been giving them some grain. The consumption of grain is going to go up considerably very soon. We are considering buying some bulk grain and storing it for the winter, so we have a lot on hand during the worst of the winter. The geese will need a lot of grain too. We also have to consider that egg production can be expected while temperatures are still cold. 6 How many hens do you want to keep? 11 Now is the time to get rid of those old piles of wood. 15 Be sure to allow hens extra food when egg production starts up. 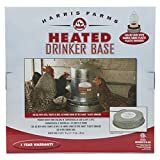 18 Look for winter deals if you want some hens. A chicken does better when they have some protection from the weather. I have seen too many old roosters that have frost damaged combs from exposure. That is in my mild climate zone too. If you live where it is cold, then you have to have a nice chicken house. Insulation is important. Animals need less feed, and they stay healthier if they do not have to fight to keep warm all the time. You can probably insulate an existing structure, but if you are a beginner, you buy insulated structures or make one. Insulation is easy stuff to put in. The foam type in a can works well for shooting in between walls. You have to be careful about covering insulation well otherwise vermin get into it or the chickens can damage it. Roost poles just need to be a stick they can get a firm hold on with their feet. Out here a lot of people just find something in the woods and use that in their coop. Fall is an excellent time to clean and sanitize any areas where birds hang out a lot. 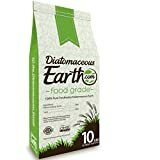 Diatomaceous earth sprinkled in areas can help, but before dusting with it, you should try to clean out some debris from animal areas. You can compost this if you want or throw it away if not. Lime will sanitize very lousy areas, but you have to be careful how much you use and allow time before allowing animals to return. A lime and water solution or diluted hydrogen peroxide can also be sprayed. Oxygen cleaner is also very effective at killing off bugs. Always be careful about spraying anything and remember to protect your eyes and wear an appropriate mask. Just because something might be a mild cleaner, organic, natural, and so on, doesn’t mean it can’t do a lot of damage if you have extended contact or get it in mucous membranes. Chicken watering devices get pretty disgusting even if you take good care of your bords. You need to deep clean the waterer once in a while depending on how much it is used. Oxygen cleaner with no scent in it is my go to if something really needs “boiled out”. Dawn Dish soap and drying the waterer in the sun works well too! The health of your flock relies on you paying attention. Look for signs of any type of distress or chickens bullying other chickens. The pecking order is always going to exist, but sometimes, especially if birds are thrown together in a more confined space than they are used to or if you have too many males to females, the bullying can get severe. Older laying hens make excellent stew pot hens. Just make sure to roast in a slow cooker all day on low. There is nothing wrong with older chickens if they are cooked properly. Some very upscale recipes like Coq Au Vin are made with a mature bird. If your hens are still young enough to be laying decently, you can sell them to those that want to get started with chickens. Just remember that you need to ask less money for them than you would This saves you from having to butcher them and you can put the money you earn back into feeding and caring for your remaining flock. This helps make your flock more profitable overall for your family. How many hens do you want to keep? There are times when your flock population can explode if you have chickens that will set on a nest. Remember that you can also make good money selling hens that are still laying to those that want to get started with eggs without the waiting around you. It is amazing how much a 1-year-old pullet will bring. Consider selling some young hens to others. Craigslist can give you a decent idea of prices in your area. Remember that you can’t keep them all regardless of how much you like them. Our chickens are very tame and come running for some corn! It can be challenging managing a flock, especially on where all your birds look alike. How do you even know after a few years which ones are the younger hens and which ones are older? This is mostly an issue for people that have big flocks and hatch out some of their own replacement hens and roosters. If you can identify birds then now is the time to put leg bands on. 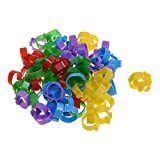 You can get leg bands that are different colors and numbers if you desire. Leg bands need to be loose enough to allow for any future growth you expect your birds to have. One of the easiest ways to create a system is just using different colors to represent different years. If you started off with older birds and don’t really know the year then just assign a color to your starter hens and then use a different color for each year after that. Year Purple is 4 years old now? Time to think about the stew pot or selling those hens! Now is a good time to decide if you want to continue with the same rooster if you are routinely keeping one around. You better get rid of him before he can breed hens in the Spring. Of course, this also means you have to find a different rooster or keep one from the chickens hatched this year. Keep in mind that if you have neighbors that have roosters and you have hens but no rooster, they are going to make an effort to get together. A lot of folks have woken up and wondered where their girls were at only to find out they are out clucking around with the neighbor’s rooster! Predators can get into very small openings. You need to check wired enclosures for wear and tear. Chicken wire is very inexpensive and can take care of most repairs. Now is the time to get rid of those old piles of wood. Seriously turn over those old wood rounds and let the chickens take care of the bugs. Now is the time to do some eradication. Burn old debris that is in piles around your place. The chickens will keep a lot of spiders from coming back. Chickens are so amazing when it comes to moving around a lot of stuff in the understory. You just have to throw a little bit of feed out into a bunch of leaves, and they will go to work. This batch of chickens has not been hard to keep away from the house since we added chicken wire. Matt has been working on a chicken house design that is sled like. We want something very basic because it is really warm here and we need it to be lightweight so it can be dragged with something small like the Mule or even the little BCS Walk Behind Tractor. The chickens are hesitant of the design, but it has not been terrible weather during their lifetimes so they may feel differently about a nice structure to keep them comfortable when the frosts start coming regularly. When you have a small flock of chickens, keeping them watered during freezing temperatures can be challenging. If you have electricity you can just use an electric heater waterer. At the same time, I have seen chickens do just fine when they were watered once a day as much as they can drink. You just have to remember to check waterers every day in the winter. Be sure to allow hens extra food when egg production starts up. What your hens eat matters a lot. If you allow your chickens a natural diet where they get to scratch and eat greens, then they will produce eggs with rich yokes. You have to offer the right food for the most nutritious eggs. Paying extra for good quality is worth it because you are eating those eggs with your family. If you have eggs you would like to preserve through the winter then you should read my previous article “Top 6 Ways To Preserve Eggs”.There are a lot of ways that are really easy and will allow you to enjoy eggs for many many months after they are laid. Now you can have a way to get through the egg drought that happens in the winter months. You don’t need a huge space to stash some eggs back. When times start getting leaner in the winter months, the predators can increase their pressure on your flock. There are numerous ways to deal with this. We use dogs and then firearms generally. The cats help keep some predators ran off. Sadie Grove in her woods guarding everything! No coyotes are going to cause trouble in our fence! There are devices that are supposed to help too. I recently received a letter from a reader that recommended the following for keeping predators away. 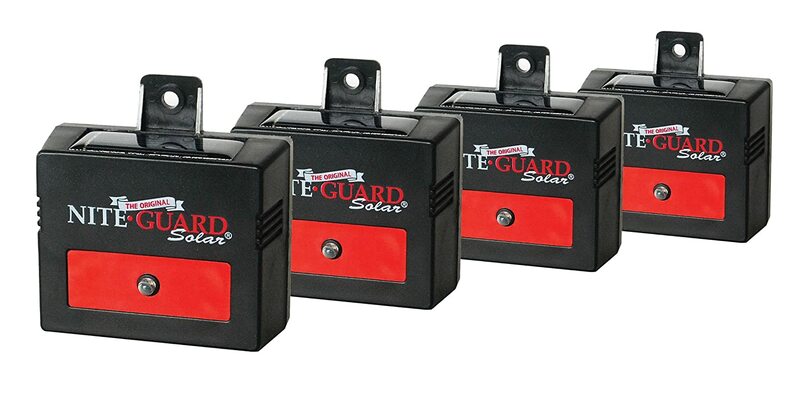 This reader mentioned the Nite Guards have worked wonderfully. Bright lights can help especially if they are the type that blink. Aerial predators can be a big problem so ideally where your bird’s sleep will be covered overhead. We have a lot of hawks and great horned owls around here so we have to be cautious about attacks from above. Look for winter deals if you want some hens. If you don’t have hens, then you might be able to get a deal by getting some during the offseason. You are not going to find chicks, but you sure can look for some grown hens. Here are a few reasons why someone may want to sell off some chickens this time of year. There are too many older hens in the flock. Some chicken flock owners do not keep hens past their second laying season because they want the maximum amount of eggs from their land. Older laying hens are fine and make great mothers. These hens are just not going to lay the maximum amount of eggs their breed is known for. You can get a few years of decent production out of them. The people don’t want to butcher any chickens even their older stew hens. Use caution when buying older chickens. A 2-3-year-old hen is fine, but you don’t want to be paying for a 6-year-old hen that is not laying enough to be worth anything. I might take a nice hen that was past three years old if given to me or sold very cheap but I certainly wouldn’t want a whole flock of them or to pay the going price for a young layer. What are you doing to get your chickens prepared for winter? I would love to hear from readers in very cold climates comment below about what they do to keep their birds healthy and in good shape during frigid temperatures. How do you insulate your chicken houses? We Prepare for Survival But Is It The Main Thing? Will it take a 21st Century Revolution to Bring Us Around? Our coop is mainly enclosed in an existing outbuildings with a chicken sized door to an outdoor covered run. They free range most of the year but stay in the run when there is a lot of snow. We stack some hay bales along the exposed wall of the coop to keep out drafts. This does eliminate a lot of natural light so we turn a light on just after 7 when we leave on the school run just as the sun is coming up and turn it off just before dinner. This gives them an extra hour or so of light while still allowing them a winter rest. This is our first winter with our girls, and we may be going overboard, but my husband ran power to our chicken coop. For the really bitter cold nights we will place a heat bulb out there and we needed the outlet for keeping their water from freezing. Our girls are not just chickens, they are also very good pets. We raised them from baby chicks and we spoiled them early on and now they expect that all the same. We have 11 buff hens, we are going to add more next spring, but I know none of these girls will ever go in a pot. Maybe not a feasible choice but what can I say, they are pets.